This 6 DayS Uganda Wildlife Safari is voted #1 wildlife tour in Uganda among the many wildlife safaris in Uganda we offer to our esteemed clients. A combination of encountering wildlife at Murchison Falls and Kibale National Park, this itinerary was created with a mind of the most beautiful spots and things that the pearl of Africa offers. 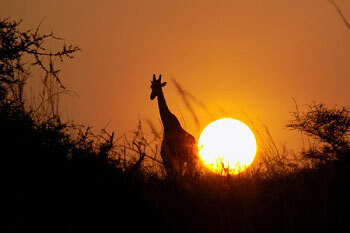 The 6 Days Uganda Wildlife Safari will enable you visit the most interesting tour spots found with in Uganda. Our 6 days Uganda wildlife safari starts with a pick up of our tour drivers from the airport as they transfer you to your respective hotels for an overnight stay either at Cassia lodge Kampala or Booma Guest house Entebbe (Up and mid-range market) Bed and Breakfast Red Chilli Hideaway Bed only (Budget facility).(D). 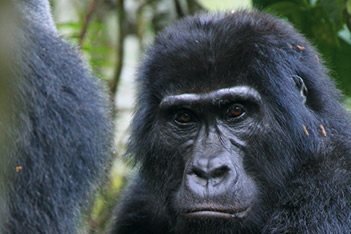 Hence be briefed about the entire itinerary for the 6 Days Uganda Wildlife Safari. A visit to the Ziwa Rhino Sanctuary for Rhino trekking then have lunch after the trek, hence drive to Murchison falls the spectacularly situated site at the top of the falls where you can see the Nile’s beauty perfected Marvel at the Nile, compressing from up to 1 km squeeze through a 7 meter canyon dropping 45 meters with a thunderous roar creating a beautiful rainbow, a plume of spray and the Murchison Falls hence enjoy the 6 Days Uganda Wildlife Safari. Overnight and dinner at Para Safari Lodge/Chobe Safari lodge (up market), Fort Murchison Lodge/Murchison River Lodge (Mid-Budget),Meal Plan L-D, or Red Chili Campsite Bed only (Budget facility). Begin the day with a cup of African Coffee, then set off for our 6 Days Uganda Wildlife Safari as we cross the Nile by ferry to the northern part of Murchison Falls National Park with a Uganda wildlife guide we shall be guided through to spot out Elephants, Lions, Cape buffaloes, Rothschild giraffes, Hartebeest, Waterbuck, Oribi, Bushbuck, Bohor reedbuck, Hyenas and if you are lucky the leopard, then Return to the hotel for breakfast and lunch, then set off for a boat cruise safari upstream as we approach the calm Victoria Nile to the base of the falls stopping just 10 meters from the Devils Cauldron. En-route, marvel at the toothsome hippos, crocodiles and over this 17 km stretch you may see elephants, Waterbucks, Uganda Kobs and Crocodiles. This is also a zone of many Bird species like Goliath heron, Egyptian goose, Pelican bee-eater, Kingfisher, Horn bill, Cormorant and the rare Shoebill stork this make our 6 Days Uganda Wildlife Safari a great one. There you leave the boat and start your quite heavy hike to the Top of the Falls (approx. 1 hour). See where the world’s longest river explodes violently through a narrow cleft in the Rift Valley escarpment to plunge into a frothing pool 43m below. Your driver/guide will be waiting for you to bring you back to the lodge.Overnight and dinner at Para Safari Lodge/Chobe Safari lodge (up market), Fort Murchison Lodge/Murchison River Lodge (Mid-Budget),Meal Plan L-Dor Red Chili Campsite Bed only (Budget facility). Our 6 Days Uganda Wildlife Safari start with an early breakfast then report at Kanyanchu Tourist Center where tourist activities begin and set out to track chimpanzee in the forest. Chances of viewing the chimps are over 90% but not a guarantee. 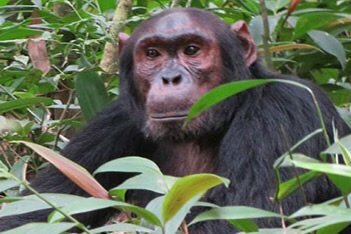 Kibale Forest National Park is one of the beautiful and stunning forests in the Uganda it is home to our closest living relatives the endangered Chimpanzee, the threatened Red colobus monkey and the rare L’Hoests monkey. The forest also boasts of having one of the highest diversity and density of primates in Africa totaling to over 13 species including the Black and white Columbus, Blue monkey, Grey-cheeked mangabey, Red tailed monkey and Bush babies and Pottos. After lunch visit Bigodi Wetland Sanctuary from where you will take on a guided walk around the Swamp hence enable you a chance to see a wide range of flora and fauna. View a variety of butterflies, bird species and other insects. Have a tour to the crater region around Ndali lodge. You may also stop over at any tea plantation along the road if you wish. Meals and overnight at Kyaninga lodge or Ndali lodge (up market), Primate Lodge or Kibale Forest Camp (mid-market) and Kibale Forest Camp (Budget) Meal plan: Breakfast, Lunch and Dinner. Day 6: Tour of the crater region, visit top of the world and the natural bridge.